Light up your cruise calendar with these upcoming special events. 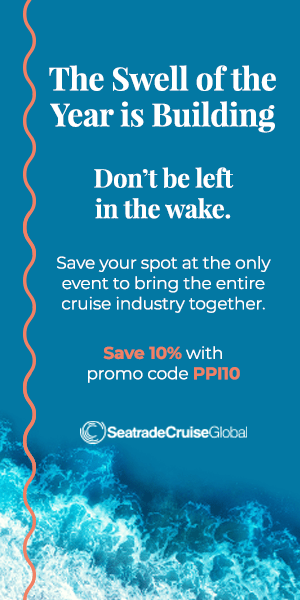 Cruise fans are fans, first and foremost — and every fan’s got a theme cruise to make ‘em go “Oh, man!” It doesn’t matter what you’re into, from prosecco to pro wrestling, or NPR news quizzes to serene sun salutations, this year has an upcoming theme cruise that’s bound to blow your horn. 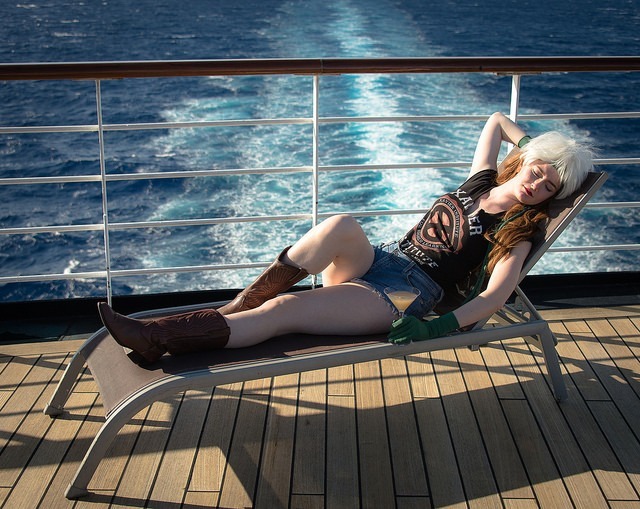 Holland America Line’s Oosterdam serves as the setting for seven nights of “music, comedy, and general nerdery” from San Diego along the Mexican Riviera led by internet and public radio phenom Jonathan Coulton. This year’s collection of creators, tech-types, and troubadours include songwriter Aimee Mann, humorist John Hodgman; comedian and actor Michael Ian Black; comic writers Kelly Sue DeConnick and Matt Fraction; Lady Dynamite star Maria Bamford; hip-hop artists MC Frontalot, Jean Grae, and Open Mike Eagle; award winning sci-fi novelists Patrick Rothfuss, John Scalzi and N.K. Jemisin, and many others. As well as concerts and panel discussion, there’ll be tabletop gaming sessions and a writers’ workshop. Christel Vollmer, an internationally renowned yoga trainer and wellness journalist, is leading two 7-night cruises aboard the sleek sailing ship Star Clipper, sailing round-trip from Phuket, Thailand. 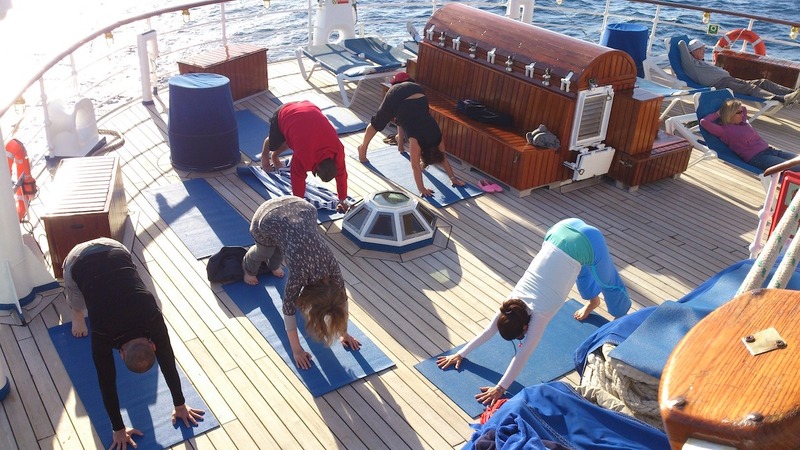 Besides holding yoga retreats in Italy, Vollmer has been a regular part of Star Clippers’ wellness voyages for years, leading morning and evening yoga sessions under the sails and the open sky. Sunday Times wine writer Will Lyons and Master of Wine Tim Atkin will share their knowledge of — and enthusiasm for — the world of fine wine with guests aboard Queen Victoria. The 7-night cruise calls on some of Europe’s greatest wine destinations, including the Colares wine region around Vigo, Spain; the Douro River of Oporto, Portugal; and an optional pre-cruise visit to Cottonworth Vineyard in Winchester followed by a stop for stronger stuff at the Bombay Sapphire gin distillery. Guests can also elect to earn a Wines and Spirits Education Trust Level 1 Certificate by joining the Cunard Wine Academy. American Cruise Lines is taking guests up the Upper Mississippi River and into America’s storied past tracing the path of Samuel Clemens from his boyhood in Hannibal, Missouri, through his career as the river pilot, journalist, novelist, and raconteur remembered today as Mark Twain. Guests can explore historic Hannibal, where timeless characters Huck Finn, Tom Sawyer, and Becky Thatcher came to life, then tour the beautiful homes of La Crosse, Wisconsin, see the bald eagle nests in Red Wing, Minnesota, and tour the Black Hawk State Historic Site in Illinois. For four nights, wrestling superstar Chris Jericho, the “Ayatollah of Rock ‘N’ Rolla,” will take over Norwegian Jade for a rowdy festival at sea. Hosts Jim Ross and Jerry “The King” Lawler will join celebrities from the worlds of wrestling, comedy, and rock, including Dalton “The Peacock” Castle, metal trio Kyng, and SNL’s “Goat Boy,” Jim Breuer, sailing from Miami to Nassau. There’ll be concerts, artist-hosted events, three Talk is Jericho podcasts, and a Sea of Honor Tournament with over a dozen Ring of Honor wrestlers competing in an outdoor ring. Jericho also plans to officiate ONE wedding on the cruise — he’s collecting love stories from booked guests here and will announce the lucky couple on Valentine’s Day.